What a beautiful poem! I haven’t heard of this poet before. Carol Ann Duffy is the poet laureate of Britain (currently, I think). She’s wonderful. Hmmm, I might even buy a poetry book! 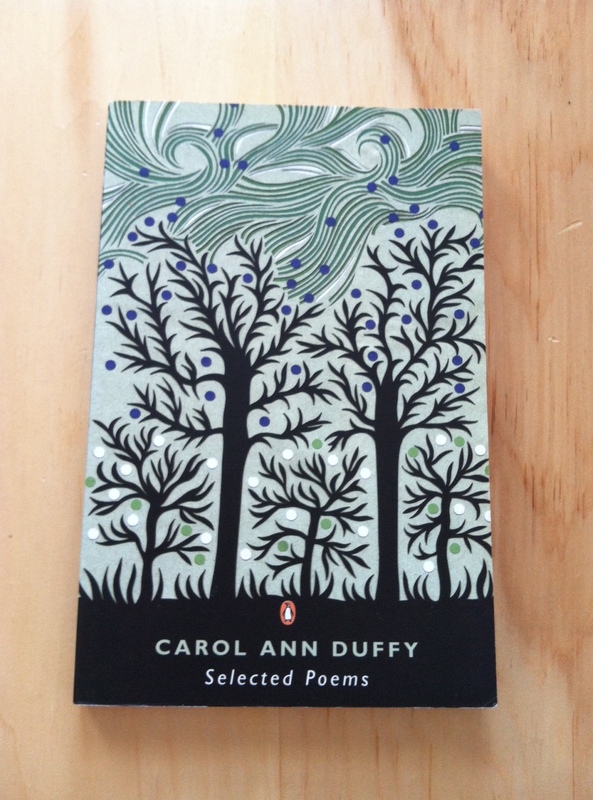 The Selected Poems are great — an excellent sampling of her work. OK, I will look for them. Wow…your post and the poem are both beautiful and sad and heartbreaking. I’m so sorry, Carolyn. Thanks. He was such a lovely person, and such a gifted poet. I miss him. Sorry for your loss. What a beautiful poem. I like his poem too. Thanks, Laura. His poems were so good. Maybe next year I’ll post one that he wrote for me. Wonderful post. Thinking of you! Beautiful post, Carolyn…and I’m sorry for the loss of your friend. Thank you for raising awareness of the beauty poetry brings tour lives and for keeping your friend’s memory and poetic gifts alive. P.S. I am GREEN with envy that not only did you visit Shakespeare & Co. but you bought books….it’s on my bucket list, girl. He was my fiance, actually. It was a wonderful thing, to be in love with, and loved by, a poet.